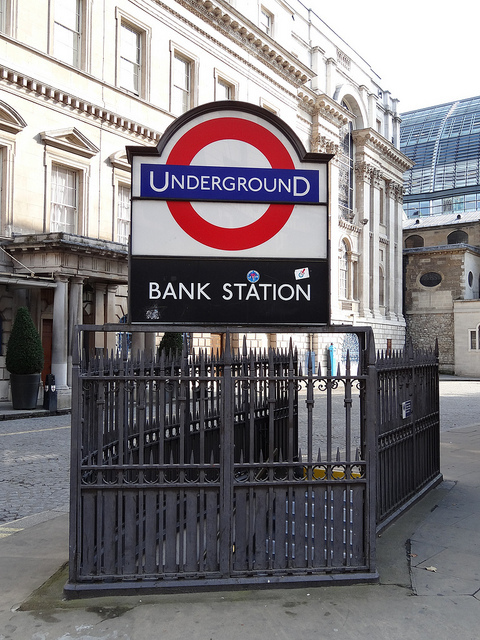 Bank-Monument Station is situated in the City of London and it has managed to get to the 9th position when it comes to the busiest Underground networks in the capital of the United Kingdom. It is the perfect means of transport especially for businessmen and women that work in the great offices and headquarters for multinational companies and other financial or political representatives. If you have the chance to whether stay or visit the area, make sure to take advantage of the multitude of shops, local attractions, restaurants, pubs and many other fun places. For a great theatre, play try the famous Shakespeare’s Globe Theatre or The Sam Wanamaker Theatre. In case you love music and you would like to hear an amazing live concert, spend an evening at Drum Coffee. For travellers or inhabitants that want to enjoy a nice walk after dinner, we would recommend a visit to some important local attractions. Mansion House is the Palace of the London Mayor, with a beautiful architecture and breathtaking interior design. Bank of England Museum presents interesting collections. Of course, these two are just some ideas. You will stumble upon other great sights on your walk. In case you need to buy a present or simply enjoy a shopping session, the Bank area is ideal for finding luxurious and quality items of clothing and many others. You could try Penhaligon’s, Beau Gems and Mont Blanc. Regarding a nice dinner or luncheon, we recommend for you to book at one of the following restaurants: 1 Lombard Street Restaurant, Imperial City and Restaurant Sauterelle. We have prepared below some means of transport for those passengers that require a Heathrow Taxi Transfer to Bank Station. This is because we want for you to have a comfortable and pleasant journey on the whole. In order to get a Heathrow to Bank Station by rail, you have the train from Heathrow Airport (every 15 minutes) via Paddington (H&C) (every 5 minutes) and then simply walk for about 13 minutes. This whole journey takes about 50 minutes. Another option would be to take the Tube from Heathrow Airport (every 5 minutes) via South Kensington Underground (every 5minutes) and then just walk for 5 minutes. This journey will take about 2 hours and 1 hour and 1 minute. The third option is to take the bus from Heathrow Central Bus Station via St James’, Trafalgar and then simply enjoy a 5-minute walk. This option will take about 1 hour and 22 minutes. A Heathrow to Bank Station Transfer by car can be done by taking the M4 motorway and then the A4. Heathrow Airport is at a 19.3 miles distance from Bank Station. This journey will take about 43 minutes, without including traffic. A Heathrow to Bank Station Taxi with 247 Heathrow Airport Transfer is going to take about 1 hour and 5 minutes, including rush hour traffic. 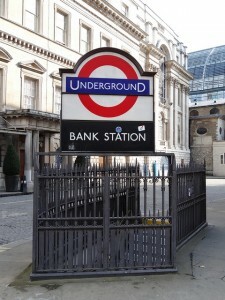 The price for a Heathrow to Bank Station Taxi starts from 47 GBP..